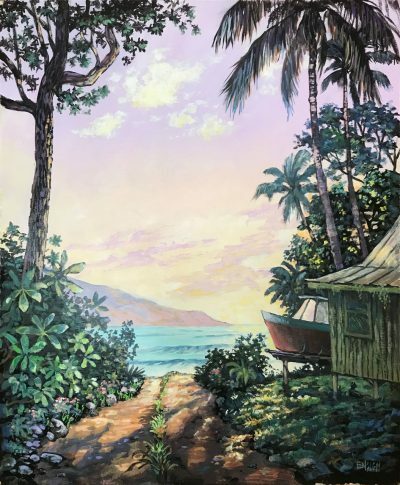 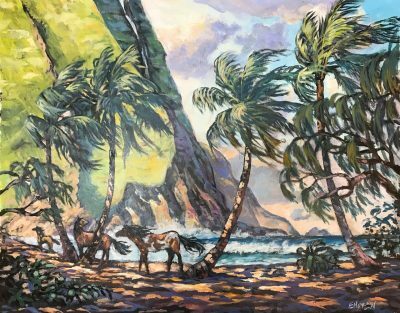 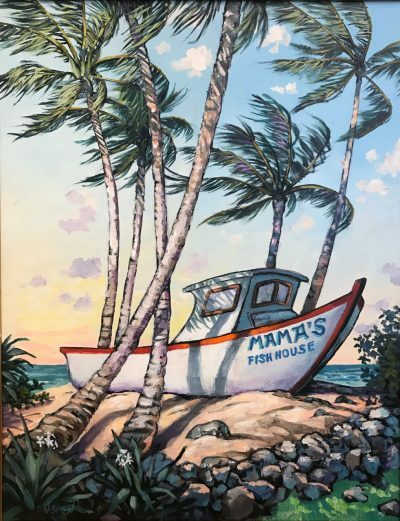 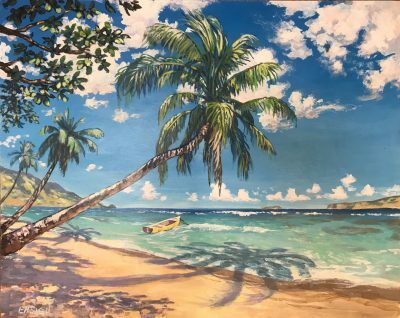 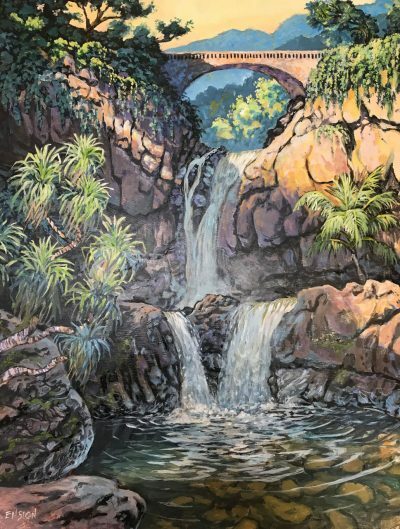 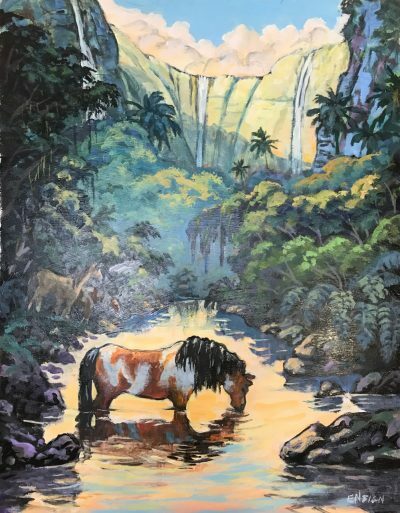 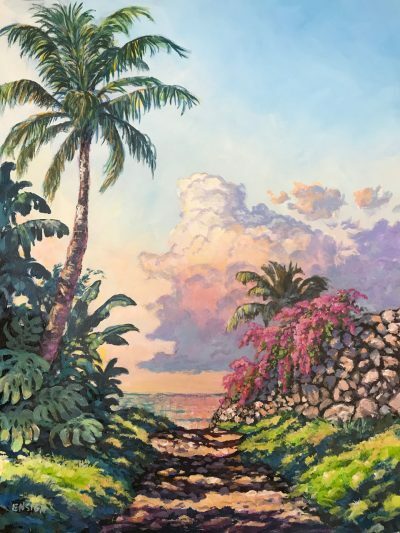 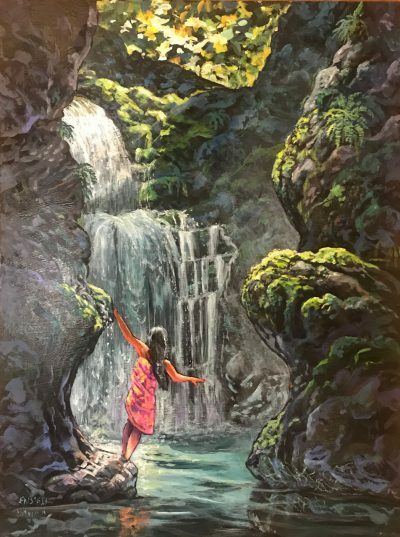 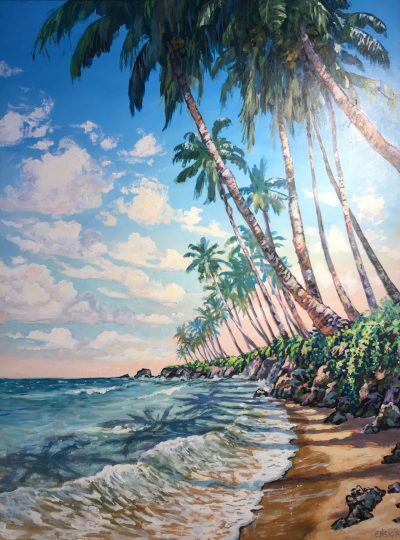 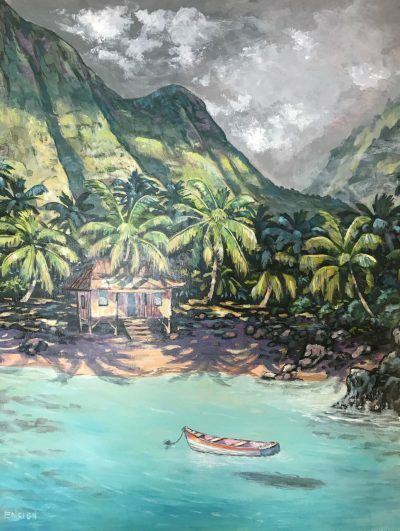 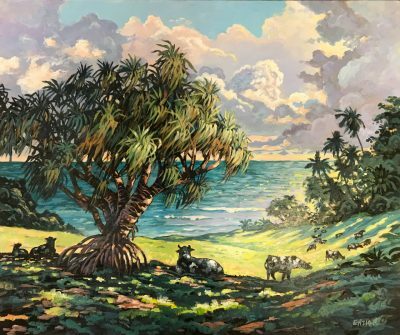 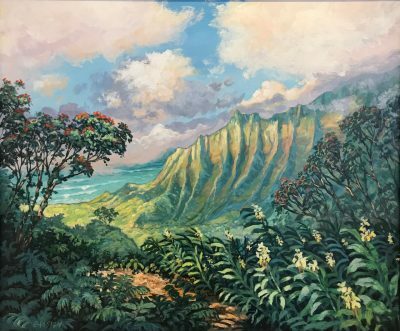 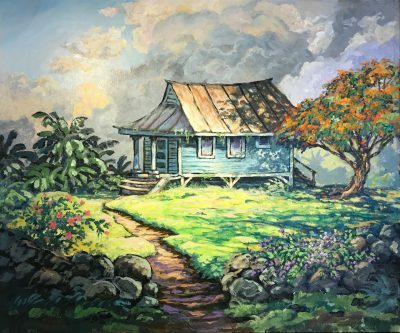 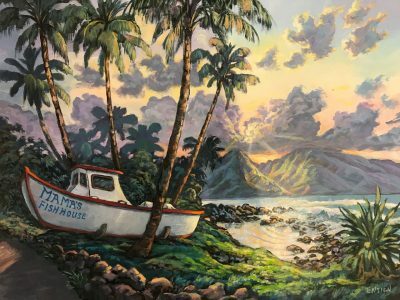 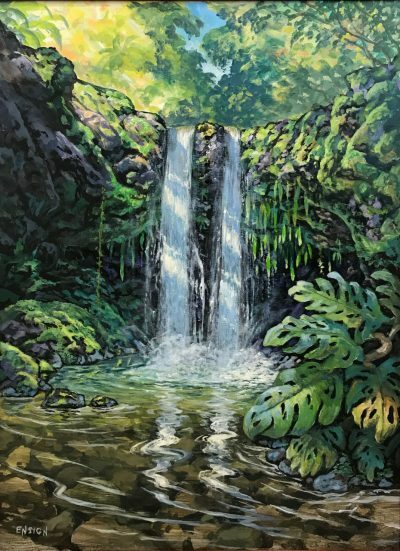 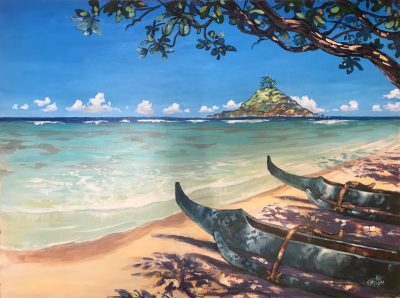 Landscape artist John Ensign has spent his life painting in many parts of the world and has made Maui his home for 30 years. 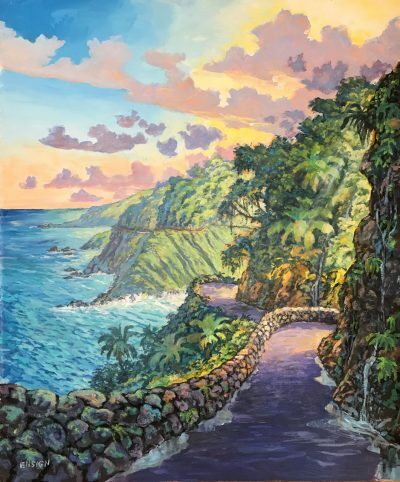 John has hiked the valleys and coasts to create vivid expressions of this tropical paradise and it’s people. 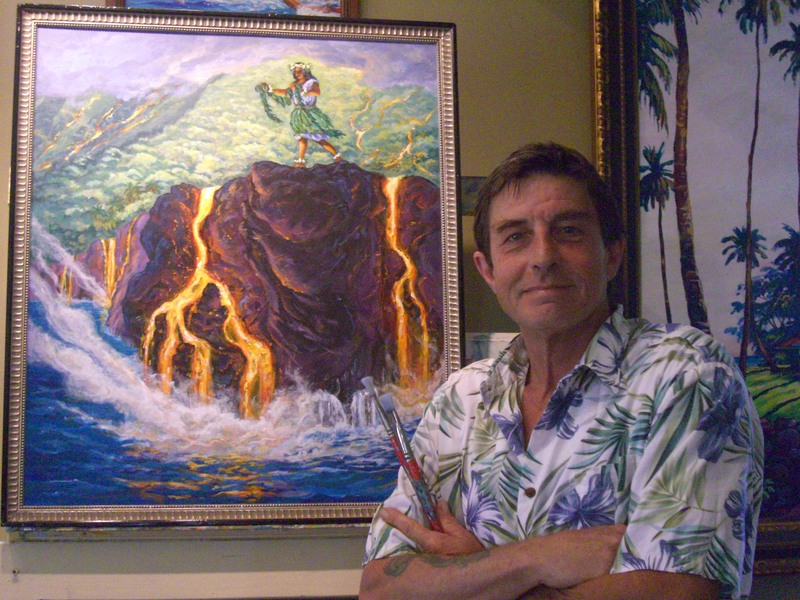 He has shown his work in many galleries in Hawaiʻi and across the U.S.